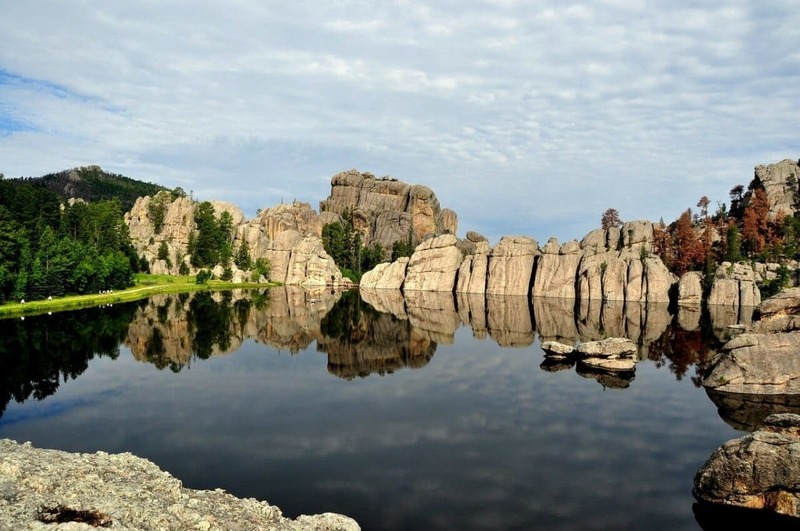 Custer State Park is one of the most visited sites within the Black Hills/ Badlands area, a wildlife reserve that is both the largest and the first state park in South Dakota. Sitting on a whopping 71,000 acres, or 110 square miles, Custer State Park provides guests with ‘clear mountain waters and open ranges’, a truly breathtaking site full of wildlife and educational opportunities galore. The park was named after Lt. Colonel George Custer, the man who discovered gold in 1872 on the onsite French Creek. Your student group can walk the same creek as you learn all about the history of this spot, several additional educational programs available. You can also head to the outdoor education center on site, the perfect place to get more insight on the buffalo, bison, antelopes, mountain goats, bighorn sheep, deer, elk, and friendly burros roaming the park. Another really educational and beneficial place to visit within the state park is the log cabin of Badger Clark, as well as the visitors center and onsite resorts and restaurants. So get ready to fish, wildlife watch, hike, or take a scenic drive, whatever you decide to do here will be well worth the trip! Note** If you happen to be here in the month of September you are in for a true treat, thousands flocking here to see the migration of the 1300 buffalo within the park!